A few weeks back a reader kindly emailed me to say that it seemed like some of the links in the Patch Collectors’ Directory were broken. I immediately looked into it and it turns out the links she was referring to were all Geocities websites. It wasn’t that the links weren’t working so much as that the websites in question no longer existed. In 2009, Yahoo, the company that ran Geocities, shut down the free personal website hosting service after offering it to users for numerous years, citing that they wanted to focus their attention on other sectors of the Yahoo web sphere. Though it is my understanding that Yahoo gave their Geocities users fair warning in advance of their shutting this service down, its cessation still caught many users – and a substantial number of web viewers the world over off guard (I heard about the matter throw my husband who works in the IT industry). This closure, which you can read more details about in the official Yahoo page on the topic, also means that nearly everywhere a Geocities page was linked to from an external website, said links are now defunct. Thusly it was time for me to once again prune my way through the Patch Directory, removing all of the “dead” links (be they Geocities or otherwise) and bringing it up-to-date just in time for the New Year. I like to weed out any defunct links on that page at least once a year, and hadn’t done so for several months, so it was actually not a hassle in the least to update the page today. To those who lost their Geocities websites (be they Guiding, Scouting or otherwise related) as a result of this closure, I’m sincerely sorry. While I realize Geocities was no longer as popular as it once was in the nineties, many people will still utilized its services, and I feel Yahoo should have at least offered to keep hosting any and all existing Geocities pages for free (and simply closed new sign-ups, if they wanted to cap user numbers). With Geocities gone, there are now far fewer personal Guiding and patch trading related sites on the web, but I hope that at least a portion of those who lost their pages will rebuild them or start new sites elsewhere (if you’re looking for a free personal website hosting service, I’ve heard positive things about Jimdo.com, but have not tried this site myself). If you’ve launched a new Guiding/patch collecting related site (or simply have one that isn’t in the Patch Trading Directory already) please let me know and I will post it in the directory at once. I sincerely appreciate the reader’s email that reminded me about Geocities shutting its doors, and always welcome correspondence regarding any element of this blog or the Guiding/Scouting realm. Two full years have passed since I first began this wonderfully fun blog, and a tad more time than has rolled by since I began to collect Girl Guide and Girl Scout patches (and badges, and pins, and silks, and...) again for the first time since I was a Pathfinder. Over the course of those two years many things have transpired in my life. I’ve moved homes, experienced very rough periods of health, adopted an incredibly precious cat (Stella), had a marvelous visit (last spring) with my mom and step-dad who flew out to visit my husband and I here in Ontario, experienced my first (two!) operas (which I hope are the just the beginning of a lifetime of live opera performances), began a second blog (devoted to my lifelong love of the past called Chronically Vintage), become an avid photographer, and experienced many other memorable events both large and small. In that time I’ve also had the true pleasure of meeting (in the online sense of the word) and swapping patches with many fantastic people from across the world. Getting to know some of my fellow patch collectors, learning from your years of GG/GS collecting wisdom, and sharing my thoughts on all manner of Guiding related topics with you has been nothing short of a joy. Some swappers and I have interacted only once, others several times, and a handful of badge collectors have become cherished friends. No matter the duration of our correspondence, I can say with absolute sincerity that every one of the people I’ve swapped with has definitely exuded the spirit of the sisterhood of Guiding, and helped to make me even happier that I rekindled my love of patch collecting! On that note I am issuing a call to swap to one and all! I know that our ranks have dwindled as of late, but at the same time I know there are many people across the world who are also still actively collecting and trading patches. Whether we’ve swapped before or not yet had the pleasure, if you would like to trade, please swing by my Dupes and Traders list to see what catches your eye then zip an email my way letting me know what you available to swap. Today, on this lovely second blogging anniversary, and always, thank you to one and all for your friendship and the wonderful swaps we’ve shared. I look forward to many more years of trading and sharing in this terrific hobby with you! A while back – February of 2008 to be exact – I blogged about the fact that the GGC had officially announced plans to gradually phase out all (remaining) GGC shops across the country and introduce a nationwide online store (aka, “eStore” or “eShop”) to replace all physical shop locations. If you haven’t swung by the check out the eStore yet, I highly recommend you visit it here. This site replaces the Girl Guides of Ontario online shop that had previously existed (if you were registered with that site, you will have to register again for the new national shop, as the Ontario eStore site is no longer operational) and is meant to serve Guiding members across the country, wherever they may be located. As one might imagine the eStore sells both standard GGC items such as uniforms, programme books and a selection of “fun patches” (crests which are not earned but rather purchased), in addition to a selection of lovely gift items (think plush dolls, jelly bracelets, mugs, bud vases, etc). The items in stock this year are by and large the same pieces that appeared in last year (2008’s) catalogue and some of the items stretch a few years further back. One thing I had been secretly hoping for when the announcement of a nationwide online store first broke, was that the GGC would return to selling a broader range not only of uniform pieces (remember the days of multiple pant, skirt and blouse options for Guiders – or of dress and pant options for girl members?) but non-uniform pieces alike. 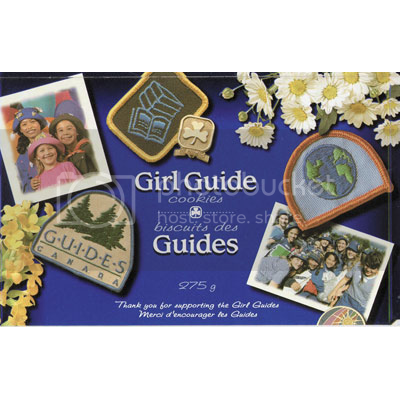 I fully realize that in this cost-conscience age it’s not always possible to stock a store to the rafters with merchandise, but the nostalgic side of my soul greatly misses when there were far more items emblazoned with trefoils available from the GGC. At present, the main question I raised in early 2008 still looms unanswered: what is to become of A/D/D crests? Currently, the official GGC eStore FAQ page, while certainly helpful in answering numerous questions visitors might have, does not address this point. I’ve asked GGC (adult) members across the country for over two years about what the fate of A/D/D crests is going to be when the last of the physical GGC shop locations closes its doors, and no one has been able to provide me with an answer. Of course, I fully realize that the GGC – an organization I will perpetually hold near and dear to my heart – does not exist merely to produce crests, far from it! This organization – and Guiding the world over – is about the lives of the girls and women it touches, enriches and challenges. However, I do feel that it would be a sincere shame to watch A/D/D crests go the way of the dinosaur. 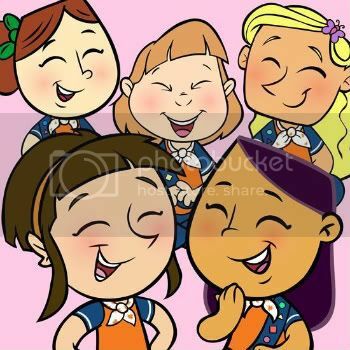 They have been a mainstay of camps, day events, sleepovers, international events and myriad other situations where Guides from different areas of the province/country/world gathered in the sisterhood of Guiding. Like license plates of sorts representing the part of the country a girl or woman hailed from, these crests – sometimes highly detailed, other times humbly simple, yet no less elegant in their design – have told the rest of the Guiding world where a Canadian member was from and allowed her the opportunity to connect through the act of swapping patches with new friends from not only the roads of her own country but also from destinations the world over. I hope in my heart of hearts that somehow – whether it be through the national GGC online shop or perhaps via A/D/D council offices, location crests will continue to be produced. 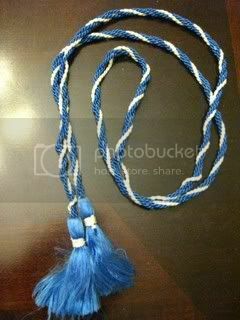 Many Guiding members and patch collectors the country over will miss them terribly if they are phased out. Like the band that played until the Titanic went under however, I always try to maintain a sense of optimism until the very end, and as such I won’t dwell on this topic any more for the time being. Instead I’ll extend my congratulations to the GGC for launching a terrific, very easy to navigate eStore, which I’m delighted to report accepts PayPal as a form of payment. I look forward to ordering from this new shop in the future and also to the merchandise they’ll continue to offer members and supporters of the GGC for many years to come. Do you collect Girl Guides of Canada catalogues? There’s something about catalogues – especially ones relating to clothing, craft supplies, or toys – that have always appealed to me. Growing up in the 1980s we received both the Sears and the Consumer’s Distributing catalogues each fall – well in advance of Christmas – and, like youngsters everywhere, I would pour over them wishfully for weeks. Both back then three decades ago and now, we’ve never had the volume of catalogues available to us in Canada that our neighbours to the south in America do, which is perhaps that more reason I fell head-over-heals in love with the Girl Guides of Canada catalogue the first time I received one as a young Pathfinder. Truthfully I do not know how long the GGC has been issuing catalogues for, but I believe the history of this annually printed booklet stems back to the 1930s, if not earlier. Certainly in Great Britain and other countries where Girl Guiding and Scouting were established early on, catalogues stretch back almost to the earliest days of Guiding in such places. I would love to know more about the history of GG/GS catalogues from around the world, and would welcome any information on the subject that my reader might have to share. As this list shows, while I do have several of the more recent catalogues, there are many (a few newer, most older) that I do not. I was wondering if there are other Guiding enthusiasts out there who also collect GGC catalogues and who would be interested in trading. I only have one duplicate (catalogue) at the moment (a copy of 2003/04 issue), I would be happy to swap catalogues for items from my patch/badge/pin dupes and traders list. It is with great pride and joy that many of the earliest countries to have respectively founded Girl Guide and Girl Scout organizations will soon reach their hundredth birthdays. In 2010 the Girl Guides of Canada will hit this centennial anniversary, and over at the official GGC website preparations for this once in a lifetime milestone and the yearlong celebration that will help to commemorate it (while also honouring the important role of Guiding into today’s world). For more information (including dates of large events that are being held to celebrate, such as National Rally Day on May 15th) be sure to check out the official 2010 website, and also stay tuned to this blog, as I’ll try to post pertinent information regarding the GGC’s 100th anniversary in the months leading up to it and all through 2010. One of the neat aspects of running a blog about Girl Guide and Girl Scout collectibles is that I routinely receive emails from people from around the world who are looking for very specific items. Sometimes the item(s) they're on the hunt for is for their collection, other times they want to replace pins, badges or patches that they once earned but are no longer in possession of. The later situation applies to a lovely lady who recently contacted me in regards to the (now defunct) Canadian Sea Rangers, which were once a branch of the GGC Rangers. As a member in late 1960s here in Canada, this woman remembers her time in the Sea Rangers fondly and would absolutely love to have a Sea Ranger enrollment pin again. Personally I don’t have any Sea Ranger items at all in my collection (much as I’d like to, too! ), and honestly was not sure where to point her, though I did suggest a couple of people and places. As things stand now, I don’t believe she’s gotten any further ahead in her quest, so I offered to post about her search here. A thorough internet search turned up one image (from the Vintage Girl Scout Museum) that was listed as being a GGC Sea Ranger pin. I’m posting that image here for anyone who is curious as to what these pins looked like (note the earlier version of the GGC trefoil). Should anybody who follows this blog happen to have a spare Sea Ranger enrollment pin that they’re looking to trade/sell or even just more info on these pins, please don’t hesitate to contact me so that I can pass along your information to this once fellow GGC member. In January of this year I created a fun little Flickr group devoted to all things Girl Guide and Girl Scout related, and now four months later I’m thrilled to report that not only do we have over 300 members, but hundreds of photos have been added to the group pool. It’s wonderfully enjoyable to watch with eager interest as photos and scans (from old handbooks, for example) pour in each week. 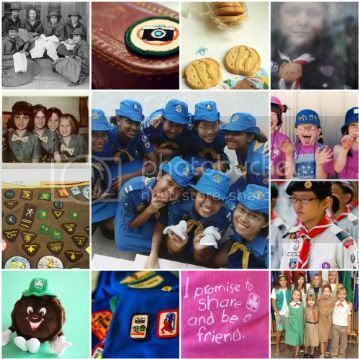 In case you’re not a member or haven’t checked out the stream lately, I wanted to share a sampling of some of the awesome images (both modern and vintage) that make up the group’s international collection of Girl Guiding and Scouting photos. 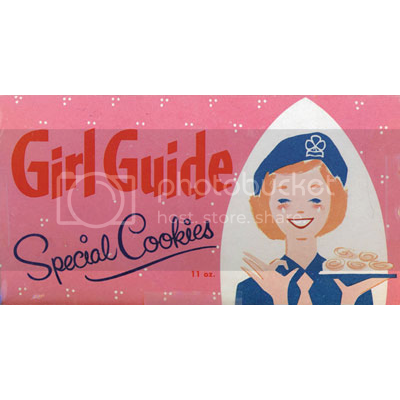 The official GGC website recently put up a delightful page that provides a short overview of the history of Girl Guide cookies in Canada, stretching all the way back to the first batch which was whipped up by a Guider from Regina, Saskatchewan in 1927. Amongst the fun facts are tidbits (or should I say “bites”) of information such as that following the second World War in 1946, the official GGC cookie varieties were maple cream, vanilla crème, and shortbread; and that 1992 Roberta Bondar, Canada’s world renowned female astronaut, brought GG cookies with her into space! 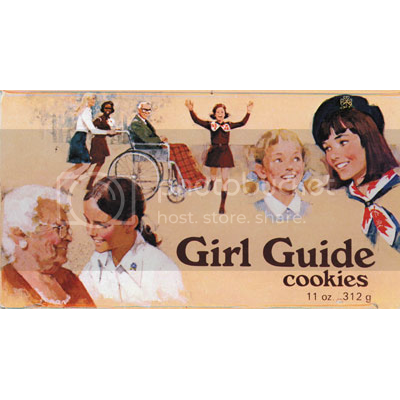 The page also features a marvelous little gallery of GGC cookie box imagery from the 1960s right up to day, which is sure to bring back fond memories for anyone who has ever sold or been involved with the selling (or eating) of Girl Guide cookies over the years. Below this article are three examples of the marvelous types of art and design that have been featured on GGC cookie boxes through the course of their eighty year history, as documented in the GGC's article. Be sure to check out this lovely cookie story page, and print off copies of these interesting cookie facts to share with your girls or for your own files. Cheerful, beautiful and bursting with exuberance, this lovely retro cookie package from 1962 is pretty enough to frame! Packed full of interesting images and subdued hues, the art from this package hailing from 1978 resembles that of many of the Guiding handbooks of the time. By the 90s cookie packages has shifted away from drawings, instead featuring photographs and lively colours, as seen on this box of chocolate and vanilla cream cookies from 1996. The official GGC website recently underwent some design changes (care of the Canadian web design group c-Seven Media Inc.) and now has a fantastic new look. Returning visitors will immediately notice that the introductory flash page is gone (thank you! ), and that instead you’re greeted warmly by a stylish, modern homepage that points you towards in-site pages, while also featuring fun GGC themed photos and graphics, as well as a quick “what’s new” section on the right hand side of the page. I’m really digging the new look and can’t help but think that it may be a precursor to the national online Girl Guides of Canada/Guides du Canada (ecommerce) shop that is scheduled to go live in September of this year. If you’d like to read more about the design update, check out the official GGC article about it. Late last night I decided to create my first Flickr group ever. I spend quite a fair bit on time on that site, faving and commenting on photos with a passion, and have wanted to start my own group for some time now. 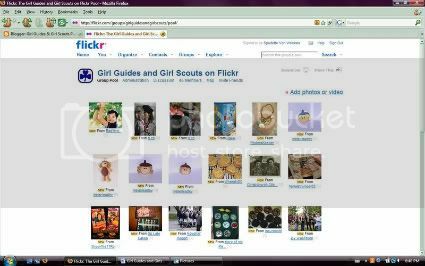 While there are numerous topics that I’d be delighted to found a group for, it seemed natural to start with one based on my love of Guiding, and so Girl Guides and Girl Scouts on Flickr was born. Setting up a Flickr group is substantially easier than I’d imagined it to be. It only took a few minutes to create my group, write out the group rules, and post a description of what the group is about (which is anything related to Girl Guiding and Girl Scouting). I then found a very helpful post about how to create an invite so that you can ask people to post their photos in your group, on the Admin Help Flickr forum. The code suggestions there were a snap to follow and in no time at all I was scouring through the results of various Guiding related keyword searches for photos that I could invite people to post in the group. At present the group has been online for a tad under a day and already we have 46 members and 103 images that have been added to the group pool – what a wonderful response! If you’re a Flickr member, I would love it if you joined (and if you’re not on Flickr yet, when not use this as the perfect reason to join, basic membership – which entitles you to a lot actually – is free and it only takes a little while to sign up and create an account). You don’t have to post pics or discussion topics if you don’t want, it’s entirely up to you. I just think it’s terrific to have a little spot on Flickr where people from around the globe with an interest this topic can gather together and share in the spirit of Guiding and Scouting.